I just updated my website to make it more mobile friendly and added new images. 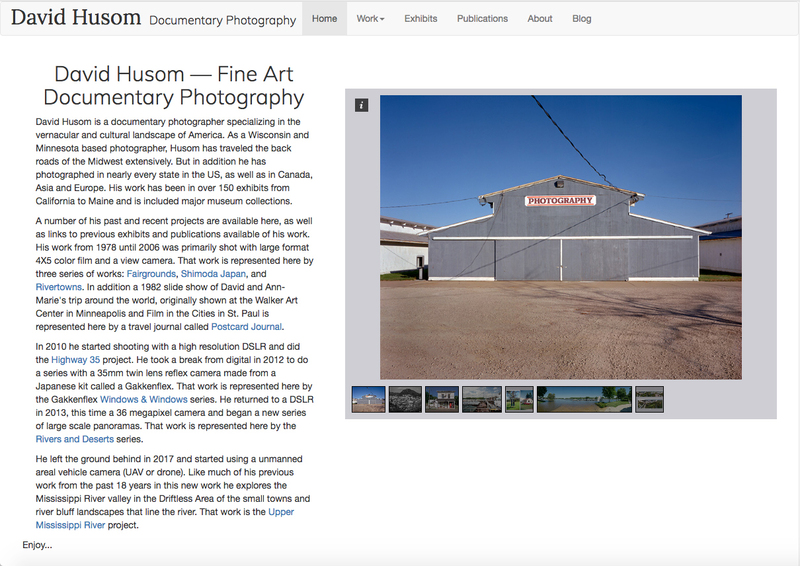 In particular the expanded site now includes twenty three images from a new project documenting the Upper Mississippi River valley in the driftless area of Minnesota and Wisconsin. The photos, 360 degree aerial panoramas, have been created using a UAV or drone. The work is being exhibited as 16X80 inch prints. There will be a one person exhibit of the work in the fall of 2018 in Red Wing and another in the fall of 2019 in Minneapolis. The series will cover the area of bluffs, valleys and coulees untouched by the glaciers that created the flat plains of Minnesota and the West yet carved by the melting waters of those same glaciers. For this project it encompasses roughly from Hastings Minnesota and Prescott Wisconsin to Prairie du Chien WI and the Iowa - Minnesota border. It will be expanded in the future to Dubuque Iowa and the Wisconsin - Illinois border. 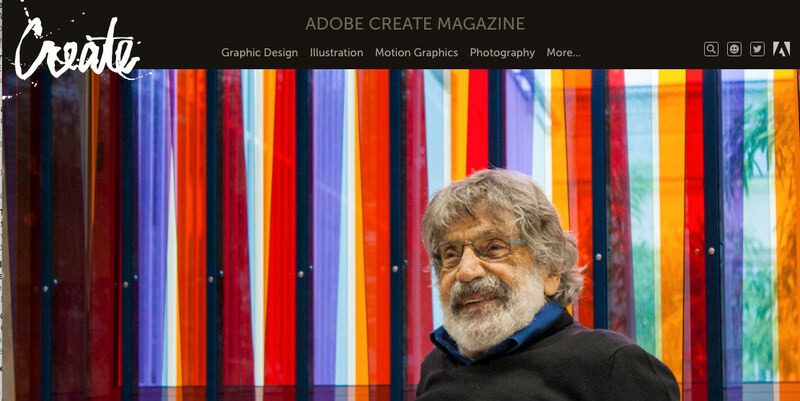 Wonderful Adobe video on the 94 year old colorist Carlos Cruz-Diez. I never buy into the notion that anyone is "too old to use a computer." Watching this I am sure you will agree. Two new works are in the Anderson Center winter show - Holiday Celebration of the Arts in Red Wing MN. The show opens Saturday December 9th, 11:00 to 5:00 PM. I will be having a one person exhibit of new work at the Anderson in October 2018.